Fuelled by a line-up of mega-projects, the natural stone industry in the Middle East and North Africa (Mena) region is expanding to accommodate the construction sector’s demand for the application of natural stone in interior and exterior design, said experts at this year's Middle East Stone expo. The premier B2B event for the natural stone, marble and ceramics industry was held recently at the Dubai World Trade Centre. Durable stone such as granite and marble from Brazil, Italy and Turkey were the centrepiece of international pavilions during the event, said the experts. Leading stone trade and supplier associations from Brazil, Italy, Portugal, Greece, Turkey, India and China took part in this year's thus representing some of the country pavilion exhibitors using Middle East Stone as a springboard into the regional market. "Stone is the world's oldest building material and has continued to be used in and on new structures. Natural stone epitomizes beauty, history, culture, and in the mind of the people in all the cultures of the world, it is intrinsically associated with luxury, quality and permanence," he noted. “Nowadays the use of natural stone is more and more associated with sustainable and environmentally-friendly building concepts. Furthermore, many economies have emerged as new producers in the global arena and the demand of natural stone is spurring,” he added. In light of increased demand for natural stone in the region, dmg Events, the show organisers had partnered with Use Natural Stone, a campaign set up by the Natural Stone Institute to promote its uses in residential and commercial applications. Yan Wang, the event director, Middle East Stone, said: "The Use Natural Stone campaign echoes a large part of what the show stands for by promoting the genuine qualities of natural stone and its uses. Across the three days of Middle East Stone, exhibitors showcased products that embodied characteristics such as durability, versatility and sustainability." "During the exhibition, as well as the Stone Conference, one of our major aims was to educate delegates on the impact natural stone can have. From architecture through to construction, there is a large variety of stone available that can be applied in both interior and exterior designs,” he stated. In addition to popular marble and granite products, Brazilian exporters are keen to bring more exotic stones to Mena region, he added. 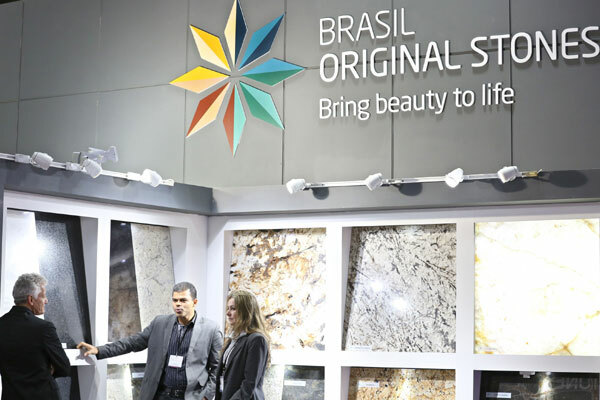 Giovani Araldi, the sales director for Santo Antonio, one of Brazil’s leading natural stone producers, pointed out that there had been a tremendoud rise in the popularity of quartzite due to its versatility and superior strength compared to other construction materials. "It has a hardness that can be likened to granite or marble, and can be applied in residential and commercial projects," he explained.